Deffet Group’s thought leaders regularly produce educational content, keeping our firm current on industry trends and research in aging services, human services, and best practices in not-for-profit executive search. Our senior leaders participate as regular attendees and presenters at national and state-level LeadingAge and other not-for-profit association conferences. To discuss how our firm can provide your organization with personalized educational sessions for board members and senior leadership teams, please contact Elizabeth Feltner at efeltner@deffetgroup.com. Winning the war for today’s top talent is critical to any organization’s success, but it continues to be increasingly difficult, given the turbulent state of the economy and the resulting decreased rate at which senior executives are willing to move between organizations in permanent roles. Currently in the nonprofit sector, three out of four Executive Directors are expected to retire and leave their jobs over the next five years. Obviously, for a variety of reasons, new sources of easily accessible, seasoned executive talent are needed, but often difficult to locate, especially when a CEO or CFO has left suddenly and unexpectedly. While executive search firms can locate great executives, the hiring process can take time. Many organizations need interim support during the longer process required for a high level search, and interim managers are often used to fill a gap in permanent staffing or to manage projects within a limited time period. As our website indicates, at Deffet Group, whether your interest is to conduct a careful search, provide coverage while a key staff member is out on leave, or gear up for a special project, we have a national network of interim management staff ready to provide guidance and maintain consistency in your facility. We’d like to review for you here some of the circumstances that lend to your consideration of utilizing interim management staffing solutions, and provide you with an overview of the potential benefits in making this decision. Does our organization have available expertise in-house to address specific executive level change management issues? What is the extent and timing of the change required? How urgent is our situation? Is there time to complete a search before filling the position, or are there urgent issues to be addressed now? What are the consequences of delay or of proceeding with an executive who lacks the experience and expertise we need to expedite a solution? Is our position specification for the position currently well-defined, or are there significant transition issues that must be addressed before we can pursue a permanent solution? Oftentimes, it can be better to place a seasoned executive in the change management role who has significant expertise for the situation at the same time you undertake an executive search for a permanent hire to fill the position once your situation has been stabilized. Additionally, we realize that many jobs are not permanent, but are in response to a “special needs” project that may disappear at the conclusion of a particular assignment. What are some of the benefits of utilizing Interim Management? Instant access to highly qualified executives: most interim managers can be brought on board within 10 – 15 days. Flexibility during periods of change: available on a contract, as-needed basis. Bridging capability to provide coverage until an executive search can be completed, thereby reducing staff stress. Buying time to clarify the position specification and genuinely find the right person. Skill set for the transition: often the skills you need to make a cultural change in an organization are different from those needed to run the operation on an ongoing basis. These executives closely match the functional and situational knowledge/experience that the assignment calls for. Focusing on key priorities: require little or no supervision and are focused on achieving agreed-upon results, less likely to get caught up in the day-to-day demands of operations. Neutrality: are generally less political, more objective and goal-oriented than longer-term, permanent employees, and can provide a neutral, objective perspective. Can serve as mentors for the talent around them, as well as for the future incoming executive. Position the new hire for success, because exposure to the interim manager fosters an expectation of change for existing employees. An outstanding value for the money: usually more experienced yet less expensive than consultants from large consulting firms. Obviously, there are a variety of situations and circumstances working together that will determine whether or not interim management is useful for you. Frequently, however, employing an interim executive in the right position at the right time can help your organization move forward in significant ways. We have seen the successful use of interim management support staff grow in recent years, and find that more and more nonprofit leaders in particular are coming to see the value in using interim executives as an option, particularly during periods of great transition. With the expected number of leadership transitions rising due to upcoming retirement projections of existing leadership and the continued growth of the sector, it very well may be that an interim executive is the solution your organization determines is necessary at a particular time. Because we specialize in both executive search and interim management, we at Deffet Group stand by ready to discuss with you what management solutions are best suited for you today in order to bring you the greatest level of success possible for tomorrow. 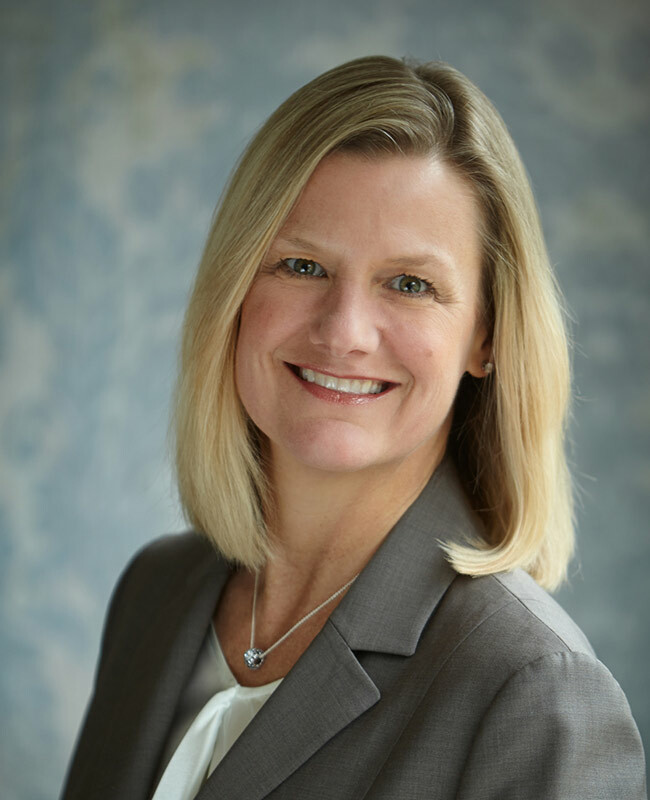 Elizabeth Feltner, M.A., A.B.D., is Vice President of Deffet Group, Inc. She works collaboratively with clients nationwide to identify and retain executive leaders and advance organizational success. An accomplished public speaker for employers and national conferences, frequent topics include succession planning, on-boarding, and leadership development.